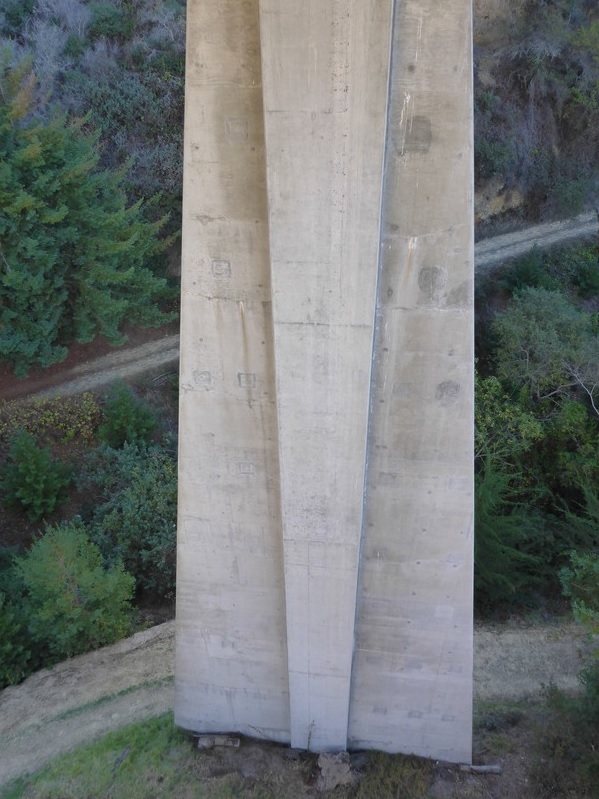 In 1960 the old Dolan Creek Bridge was replaced with a precast girder bridge. This two lane bridge is 400 ft long and supported on single column hammerhead bents. 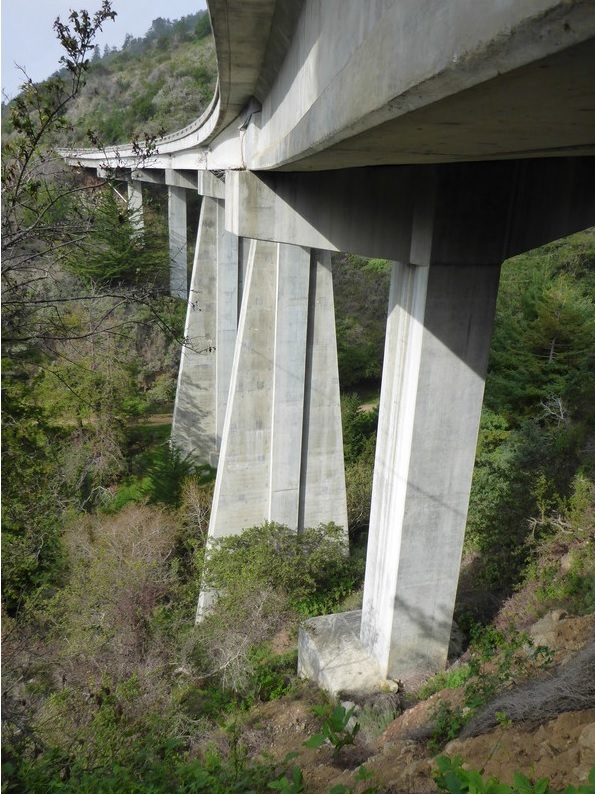 The bridge got a seismic retrofit in 1986 that consisted of cable restrainers. In 1996 a second seismic retrofit provided triangular shear walls at Bent 2 and Bent 3. However, erosion of the slope and deterioration of the concrete suggest that this bridge may need to be replaced again before too long.